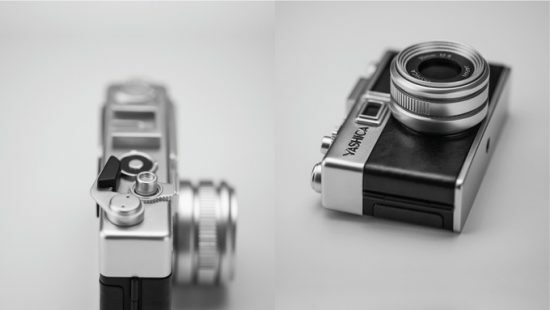 The “unprecedented” Yashica digiFilm camera is already close to raising 1 million dollars on Kickstarter just two days after it was started and with another 38 days to go (backed by almost 5,000 people so far). This will make the Yashica Kickstarter one of the best crowd-funded photo gear campaign ever. I will just put this here to sink... maybe some manufacturers will get the idea... (*cough* digital Nikon SP *cough*). 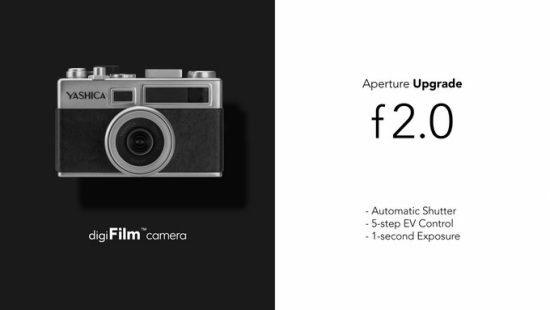 "After working hard with our team for over 30 hours, we found a solution to upgrade the aperture from f2.8 to f2.0. This is a milestone of the upgrade since we need to fix several difficulties of the exposure. With the upgrade of the aperture, we stay at the "aperture priority shooting mode" from electro 35. The shutter speed will be calculated by the Y35 automatically. But be calm, we will add a 5-step exposure control from -2 / -1 / 0 / +1 / +2 and a 1 second exposure mode for you to create your stylish and unique photography. Your contribution is really important in this milestone." This entry was posted in Yashica and tagged Kickstarter, New Yashica camera to launch on Kickstarter rumors, Yashica digiFilm camera. Bookmark the permalink. Trackbacks are closed, but you can post a comment.